Congratulations to Richard Sparks, Associate Broker, Team Leader, and REALTOR® at Keller Williams Central. 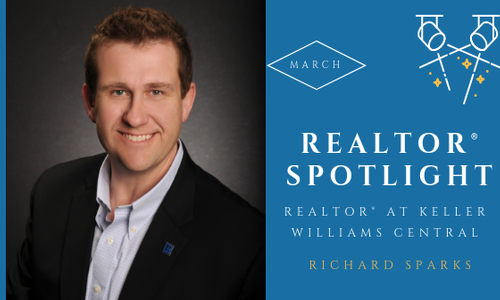 Richard is March’s REALTOR® Spotlight Winner, and was nominated for his integrity, strong ability to motivate and inspire his team and others around him. Do yourself a favor and get to know this amazing man and all he provides to the real estate industry, as well and some of the extraordinary places and experiences he had so far in his life. We look forward to seeing even more of what you WILL accomplish, Richard. 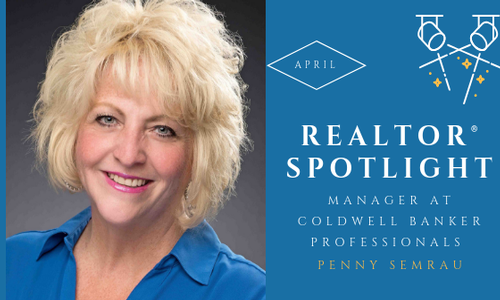 We are excited to announce Patricia Wingert of Real Living Kee Realty is February's REALTOR® Spotlight winner. Pat received such a heartfelt nomination explaining how kind, helpful and hands-on she is with her clients, as well all her charity involvements. Making Pat's nomination a tough one to ignore Pat's sincerity and love for her clients shines through in her interview and in everything she does. What a great opportunity it was to learn more about our amazing member. Congratulations Pat!